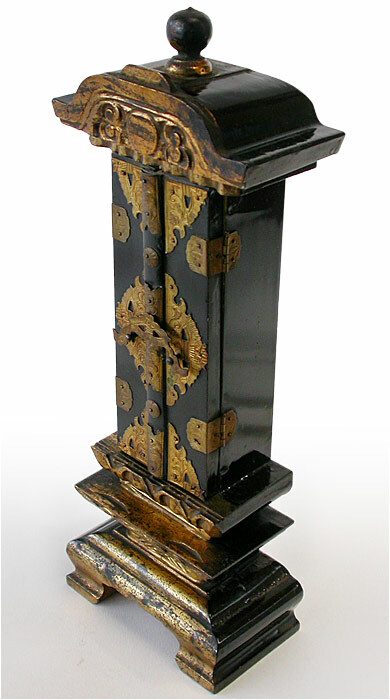 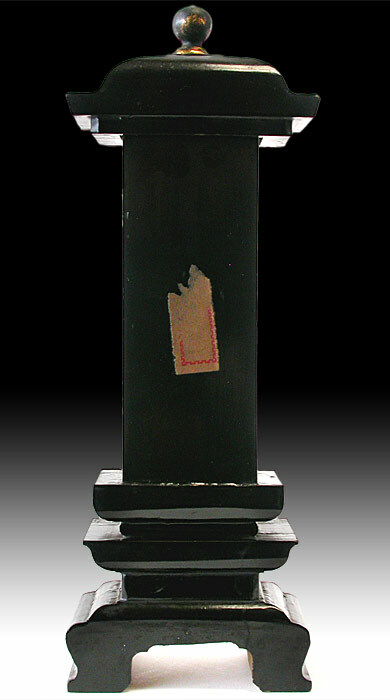 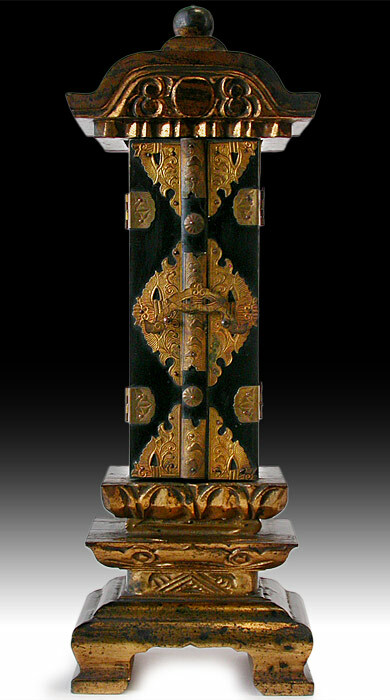 A lovely lacquered zushi standing at just under a foot tall. 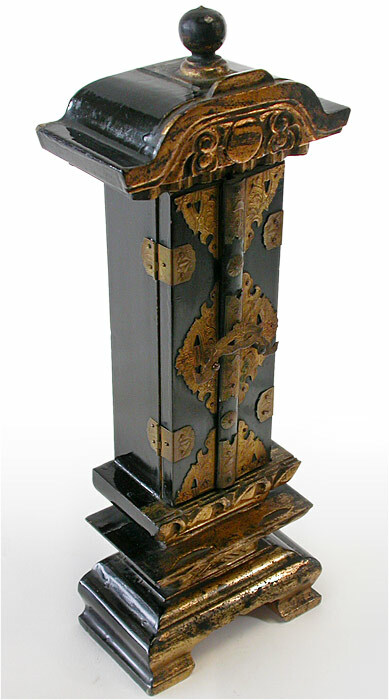 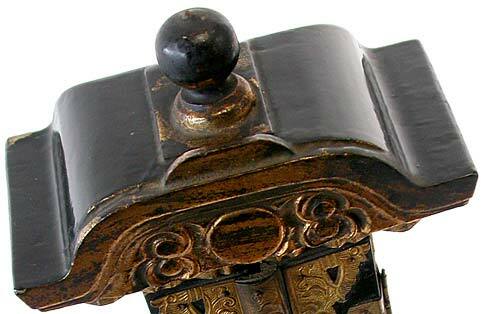 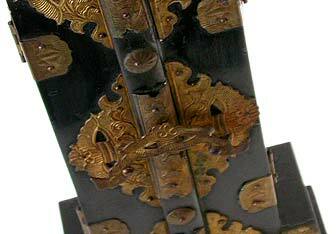 Narrow and slim, the black finish is highlighted by gold paint and bronze detail. 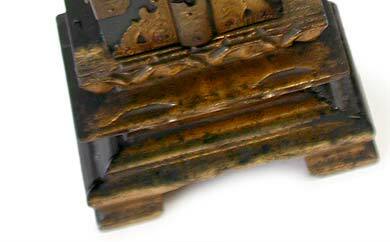 It opens to reveal an immaculately empty space for a statue or plaque, its clasp and hinges working smoothly as the day it was made. 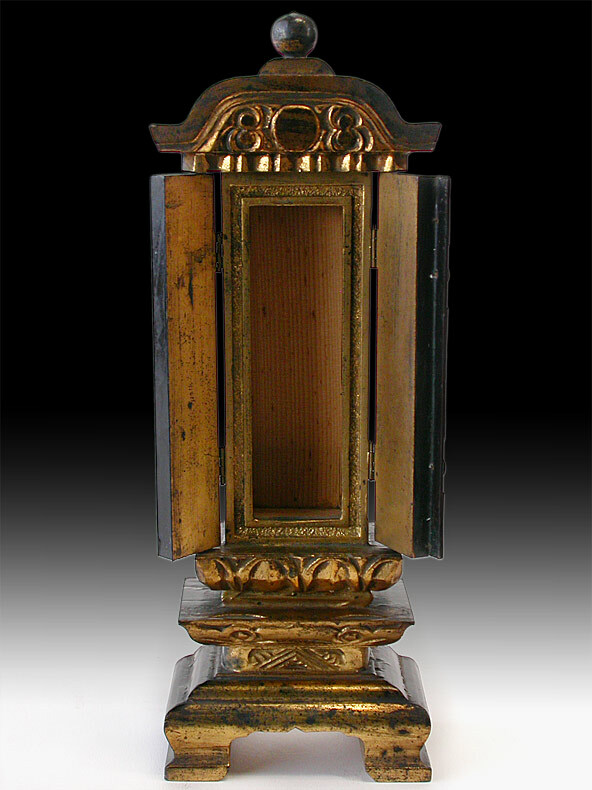 An antique cabinet shrine in excellent condition.